RPF100 is a pentaerythritol rosin ester. 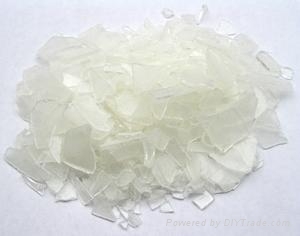 It provides particularly good skinning resistance and color stability in Ethylene Vinyl Acetate (EVA) hot melt adhesives. Soluble in aromatic and aliphatic hydrocarbon solvents(petroleum benzine, mineral spirit, benzene, ethyl acetate, acetone),esters, ketones and chlorinated solvents. Insoluble in alcohol and water. Compatible with Ethylene Vinyl Acetate (EVA) polymers,Ethylene Ethyl Acrylate, Styrene-Isoprene-Styrene (SIS), Styrene- Butadiene-Styrene (SBS), SBR, natural rubber, butyl rubber, neoprene, acrylic, LMW polyethylene, amorphous polypropylene and other polymers and with phthalate and polyester plasticizers, alkyds, hydrocarbon resins and terpene resins. Use in EVA, SBS, SIS , and other hot melt adhesives; Solvent-born SBR adhesives, Solvent-born natural rubber/SBR adhesives, Solvent-born natural rubber adhesives, Solvent-born Acrylic adhesives; construction adhesives, rubber compounding, sealants, coatings and other applications.